SCVHistory.com LW3063 | Lebec | Castaic Valley and Lake, Postcard ~1930s. 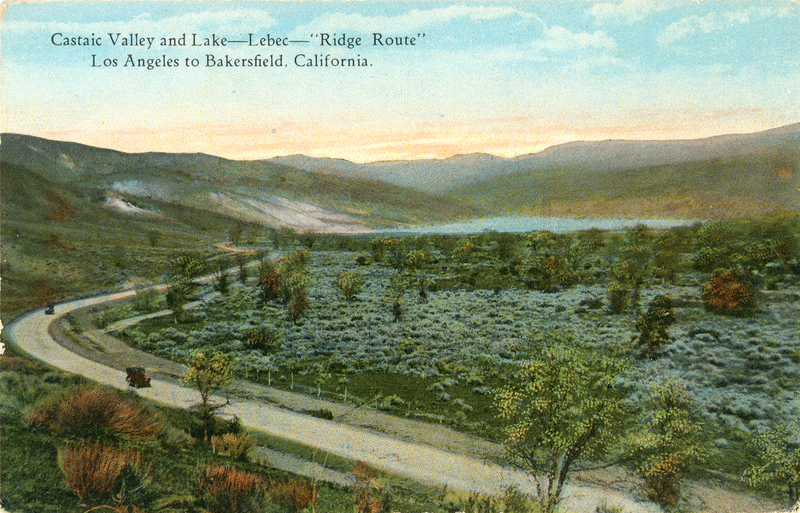 Unused penny postcard, probably 1930s, showing the "real" Castaic Lake (aka Castac Lake) just east of Lebec — as opposed to the man-made Castaic Lake Reservoir that's located closer to the town of Castaic. Western Publishing & Novelty Co. of Los Angeles was active from 1932 to the 1970s. From a photo by Theo Sohmer, who was active in the 1910s and 1920s. LW3063: 9600 dpi jpeg from original photograph purchased by Leon Worden.